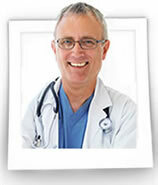 My name is Dr. James Ross and I’ve been teaching human anatomy and physiology for more than 18 years. I hold a Ph.D. in Integrative Physiology, which I completed in 1992, and started writing for popular magazines and journals. I was recently a nominee in the poster prize at the British Neuroendocrine Society annual conference held on 15th and 16th September 2008 at the University of Briston. In 2004, I founded the “InnerHealth” training school for paramedics and nurses in Pennsylvania. But more importantly, since 1996, I’ve helped thousands of students, practitioners and junior doctors learn and master the complex topics of anatomy quickly and easily. You see, once an expert explains to you how to actually do it…in language you can easily understand…this is almost as easy as…eating lunch. The secret is in following proven lessons, mastering the subject one step at a time – At your own speed with detailed illustrations. This is closest thing to joining a full time medical course that will cost you over thousands of dollars. Sounds good? Then read on ..